A New Jersey vacation rental will bring you to a diverse state where your vacation can include a mix of history, sandy beaches, and slot machines! Learn more here! A New Jersey vacation rental will bring you to a diverse state where your vacation can include a mix of history, sandy beaches, and slot machines! The popular New Jersey shoreline not only has many tranquil beaches for you to get away from your bustling lifestyles, but will also provide you with an exciting vacation filled with thrills in amusement parks, casinos, and ocean adventure. 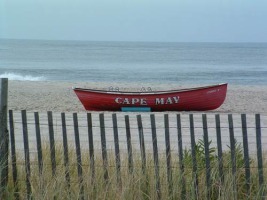 With a New Jersey beach rental you'll make sure to enjoy the best sand and surf the East Coast has to offer! New Jersey has a plethora of beaches from those who want the excitement of the boardwalks, amusement parks, and the chance to relax under the sun! Ocean City - A great place to take the family, here you can find miniature golf courses, restaurants, and souvenir shops, along with exciting theme parks like Gillian's Wonderland Pier and Island Waterpark for the kiddies. Come and enjoy over eight miles of beaches for a fun-filled summer vacation. Beach Haven - Filled with plenty of museums, parks, and theaters, Beach Haven is one of the most popular communities in all of Long Beach. The Fantasy Island Amusement Park is the only recreational park in New Jersey making it a great place to spend the day with the family. Point Pleasant Beach - This New Jersey beach town is home to Jenkinson's Boardwalk, a huge pier attraction on the East Coast! Another popular thing to do while in Point Pleasant is to go to the annual Seafood Festival which takes place in the month of September, sometime around the end of the summer. A tradition that was started in 1975, this annual festivity includes food, music, and craft vendors all lined up by the water for hours of fun and entertainment! Brigantine - One of the smaller New Jersey beach communities, Brigantine is a spectacular getaway for the family escaping the thrills of the busier Ocean City. At this magnificent beach, you can go sportfishing, wave riding, four-wheel driving on the beach, nature walking, jet skiing, and sailing. Along the Jersey shore, you can experience the best in shopping, dining, and recreation. Experience the serenity of spectacular sunrises or come watch the dolphins play at The Sea Wall. You can find pounding surf, exhilarating rides, lively fishing and watersports, entertaining nightlife, and much more. New Jersey is unquestionably the perfect place to create your vacation memories, so come and discover a New Jersey beach vacation rental through BeachHouse.com! 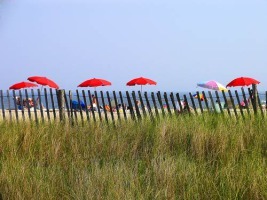 Click here to see all New Jersey vacation rentals!